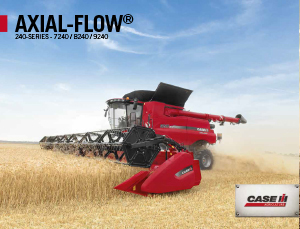 Everything about the Axial-Flow® 140 series is about greater productivity – when operating on flat ground and, even more, on hillsides. And not one minute will be wasted in servicing, with the easy access to service points on the right side and the smaller and lighter concaves that are easy to handle. On top of that, Residue Management easily and quickly switches from spreading and windrowing, and ensures the even spreading ideal for modern farming practices. Any combine is only as good as its header. 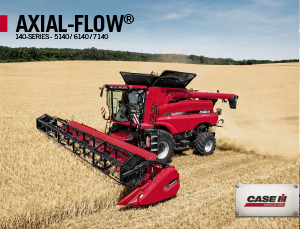 To obtain high performance output from a combine, high capacity feeding is key, and there is no better match for a Case IH Axial-Flow® combine than a Case IH header designed to complement its capabilities and maximize its output potential. 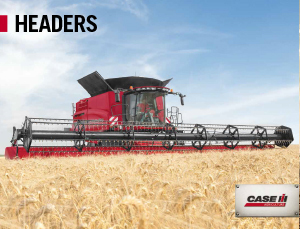 Our headers are designed to perform at their best in all conditions: for maximum productivity, perfect stubble height and no straw and ear losses, whatever the harvesting conditions may be.